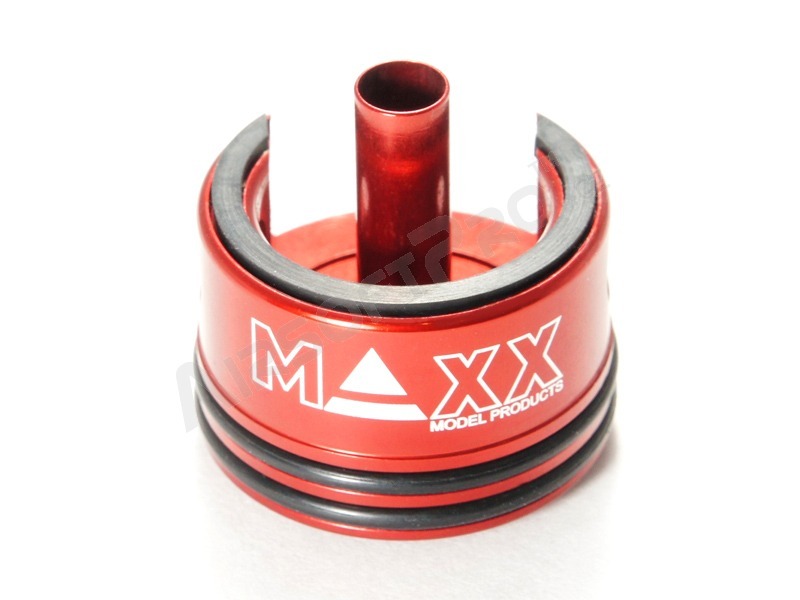 High quality CNC crafted cylinder head for AEG gearboxes by MAXX model. 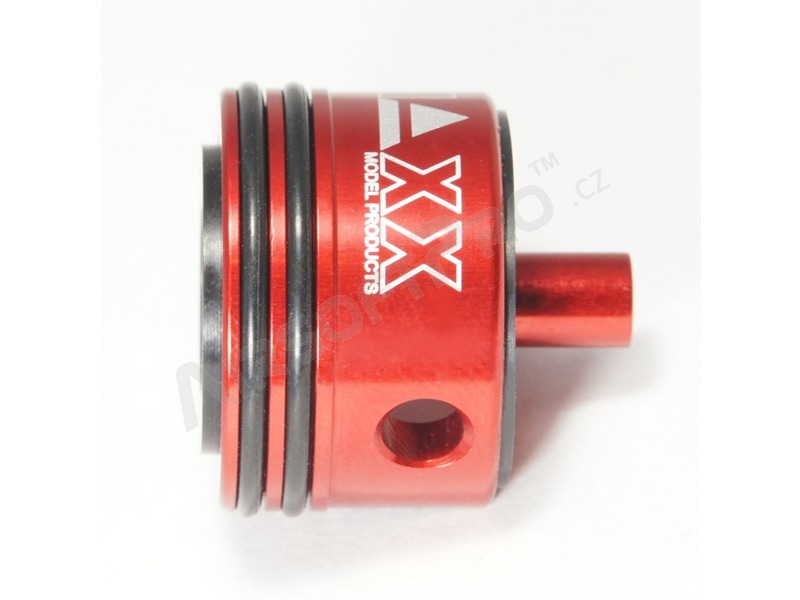 The cylinder head is made of single piece lightweight (and durable) aluminium alloy. 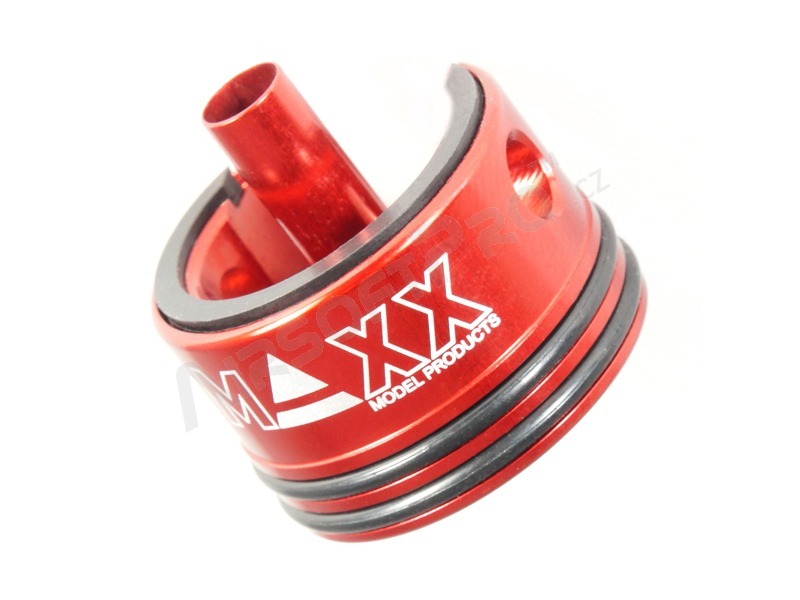 Double o-ring delivers exceptional output and air-compression. 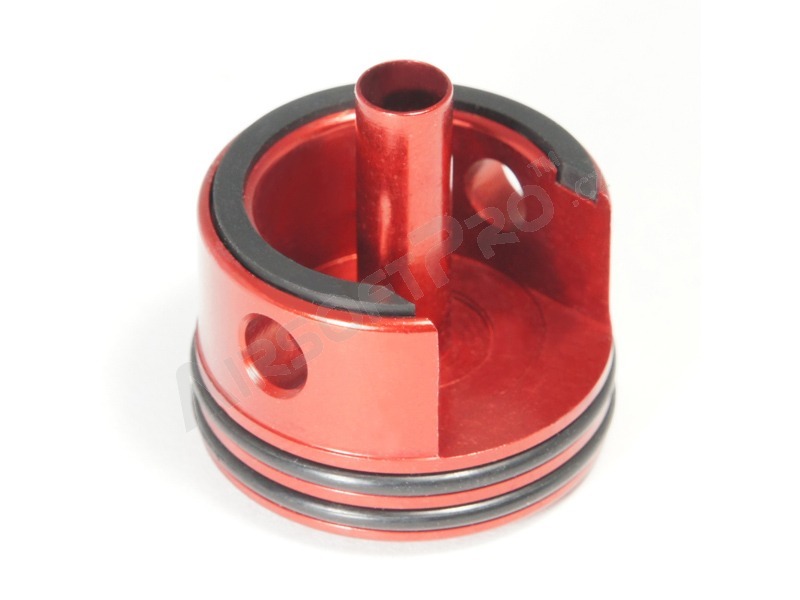 A rubber pad on the rear of the cylinder head absorbs impacts from the piston and reducing overall vibration while firing. 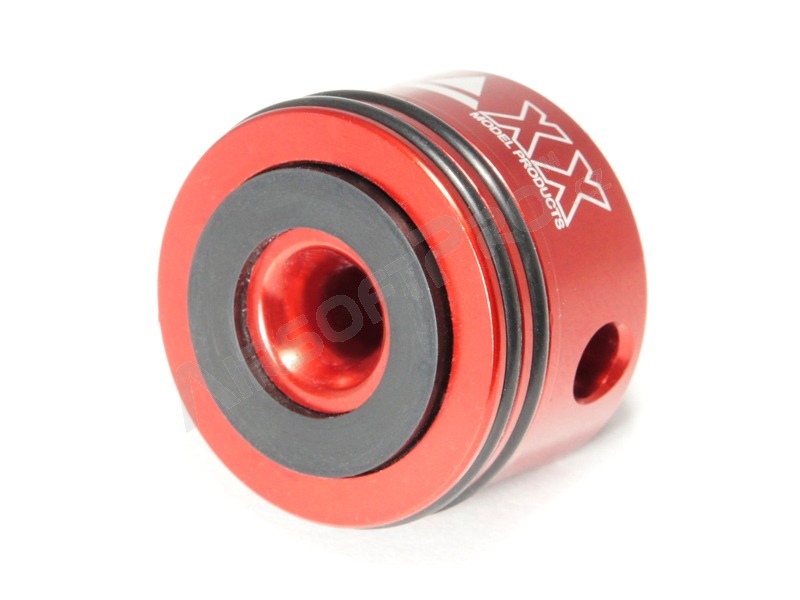 The cylinder head is compatible with most M4/16 V2 gearboxes and it is easy to install.